Talks with Richard Lynch about Band's latest single "Cut and Paste," from his upcoming April 1st CD release, Mending Fences. Studio Carry On Harry , Singapore : Richard Lynch is an American country music artist, who has compiled a long list of country hits and chart toppers in the world of traditional country music. The sounds of Richard Lynch are reminiscent of the classics that started it all. The same passion and raw truth that fueled the likes of Conway Twitty, Keith Whitley, Waylon Jennings, George Jones, and Hank Williams is sewn into the fabric of Richard Lynch. In a world of fabricated country stars, Richard Lynch stands out in the crowd as a proud member of the last of a dying breed, the pure country music artist. His rock solid country roots span 3 decades, it comes up with the sun each morning, and it settles in the music he writes and the songs he sings.. The spirit of Richard Lynch is that which is attached to the working man's soul. It's real and it's timeless. It's country, the way country was meant to be. Living the life he sings about is what gives Richard Lynch the edge as a singer/songwriter. Richard is a hard working, blue collar man. He is a designer and builder of amazing barns, and as should be expected, he is an American farmer. His everyday life and paying his musical dues by performing at 100's of events & shows a year, all across the country, is that which shaped him into a one-of-a-kind performer. Richard's style is true and it carries into his live shows. Much like his music alone, a live performance of the Richard Lynch Band is something you feel. It's something you carry with you when you walk away. If country music is a gift that sustains in our lives wherever we go, Richard Lynch is the messenger. Richard Lynch Band's latest single is "Cut and Paste," from his upcoming April 1st CD release, Mending Fences. "Cut and Paste" is the follow-up to Lynch's back-to-back #1 New Music Weekly national airplay chart singles, "We're American Proud" and "A Better Place" which also reached #1 on IndieWorld, and #1 for 32 weeks on the Roots Music Report True Country Singles chart. The latter was also named the #1 True Country single of the year. A benefit duet with country star Ronnie McDowell, "Love Tattoo" was also released on January 21, 2017. Richard Lynch is a member of the Independent Country Music Hall of Fame, the founder of the Love Tattoo Foundation for Veterans, and the host of "Traditionally Lynch" on Renegade Radio Nashville. 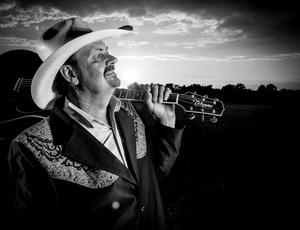 Lynch has appeared on TV and radio stations across the USA and around the world, including RFD TV and WSM Radio Nashville.